These accessories are all magnetized and will work with the Cocoknits Maker's Keep! Or, they will also work well on their own! 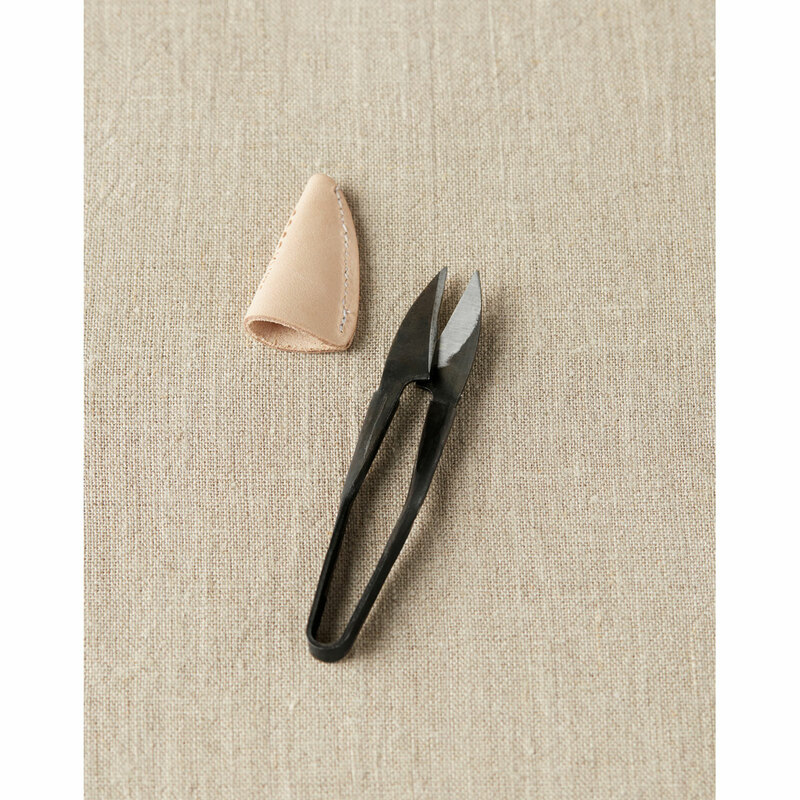 This rustic, one-piece snip is made of forged black steel and now comes with a natural, vegetable-tanned leather point protector to keep both you and the snip protected while not in use. 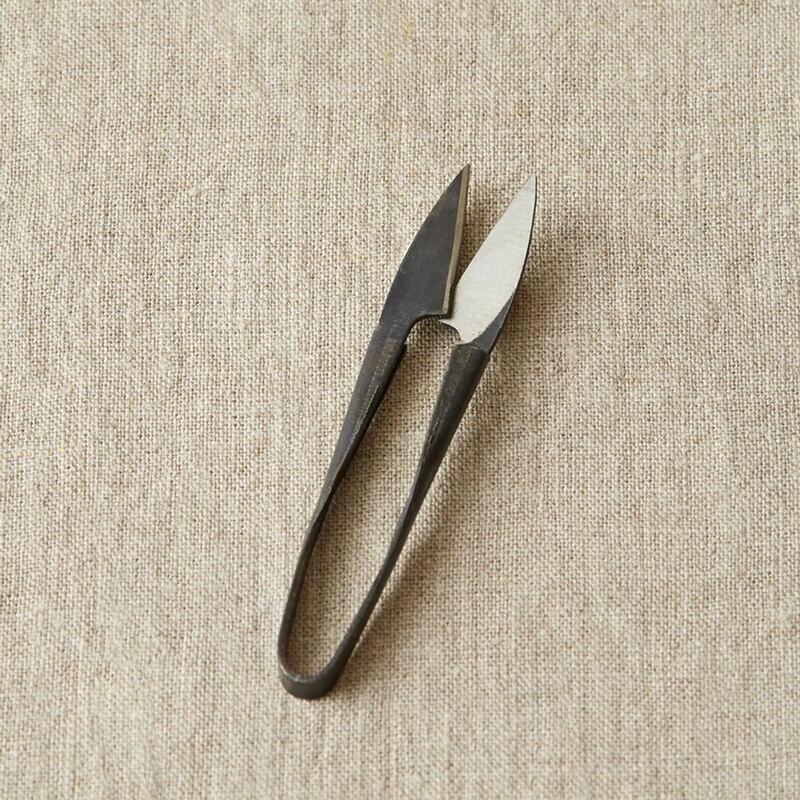 Please note these are snips, not scissors, and they are imperfectly hand-forged. 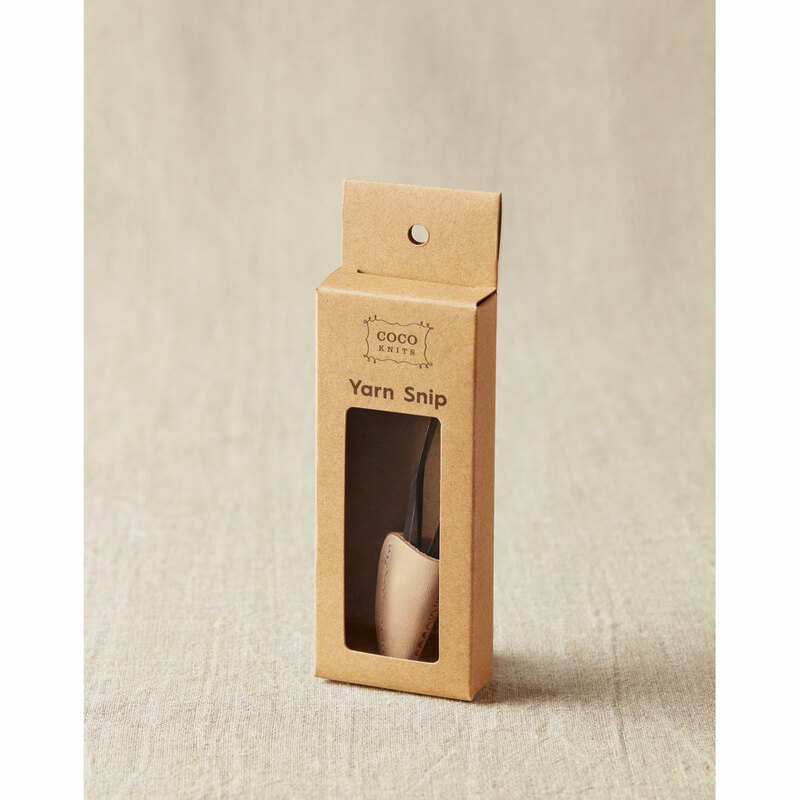 They have a nice heft in the hand, and the good news is that no one is going to borrow them from your knitting kit - they are really only good for snipping yarn! 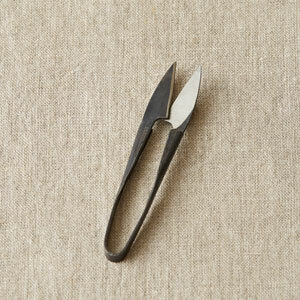 When not in use, the snip sticks to the Knitter's Keep. 4" in length. 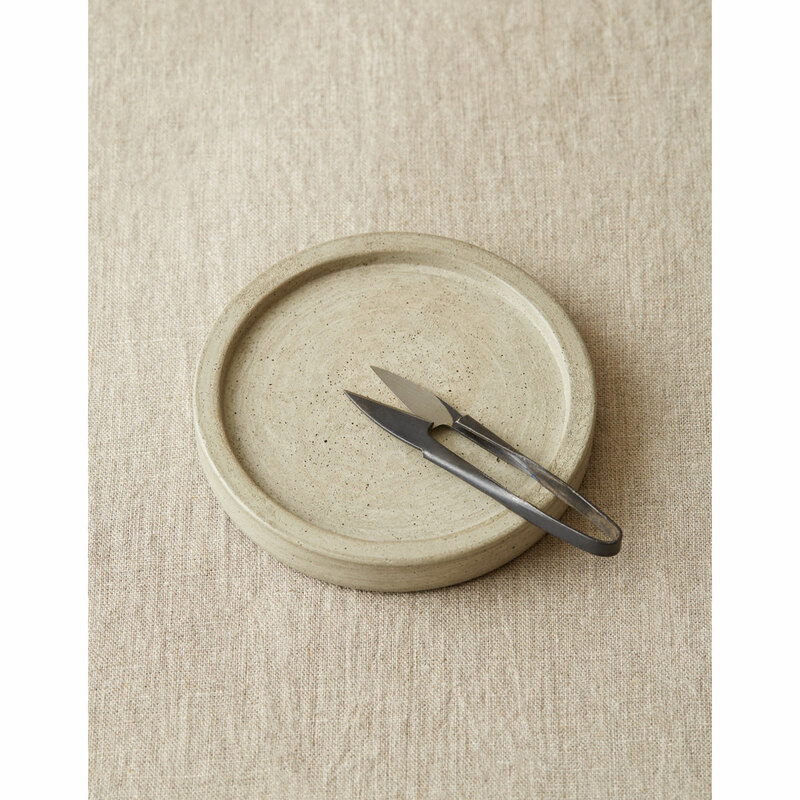 Cohana Sewing Notions - Mini Scissors from Seki - Yellow and Cohana Sewing Notions - Mini Scissors from Seki - Pink are both similar accessories: tape measures and scissors.